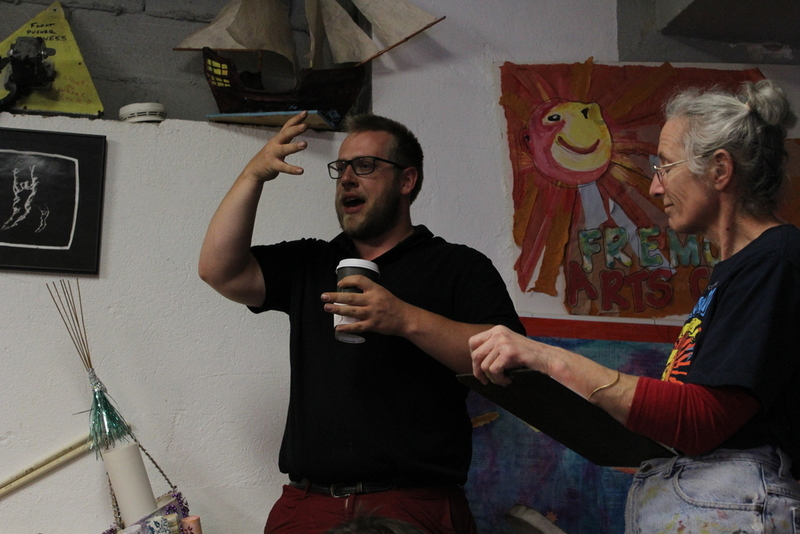 In preparation of the Fremont Arts Council’s (FAC) annual Solstice Parade, the council announced the recipients of their $500 McKay Grant at a council meeting and parade participant workshop Tuesday night at the Fremont Powerhouse. CascadiaNow! is honored and excited to announce our acceptance of our first ever grant. CascadiaNow! members, and Mythica Village volunteers teamed up to work on the giant Sasquatch float in preparation for the parade on Saturday, June 18th. Volunteers made paper mache leaves which will hide the Sasquatch from a Sasquatch denier searching for the mythical creature. 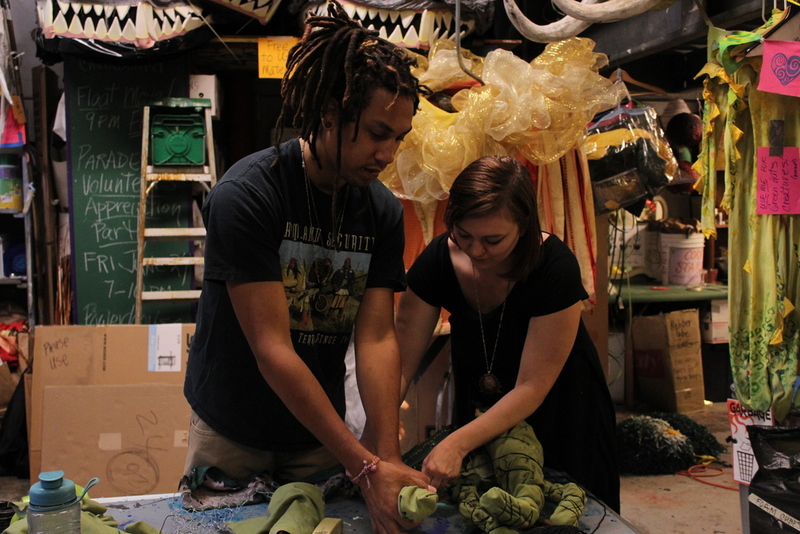 Mythica Village volunteers also made colorful mushrooms and mythical forest props for the Sasquatch to sit in. The CascadiaNow! 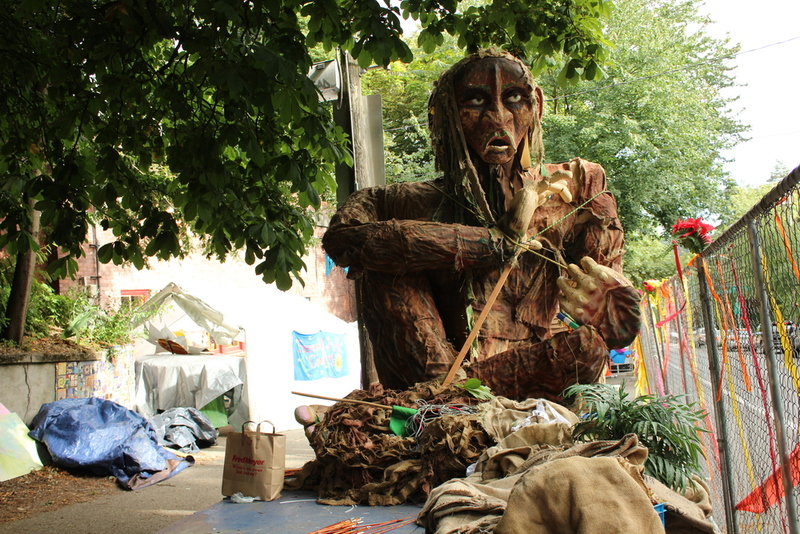 Sasquatch and all it’s mythical props will be reused at the Cascadia NW Festival in July and Cascadia Rainingman in September. 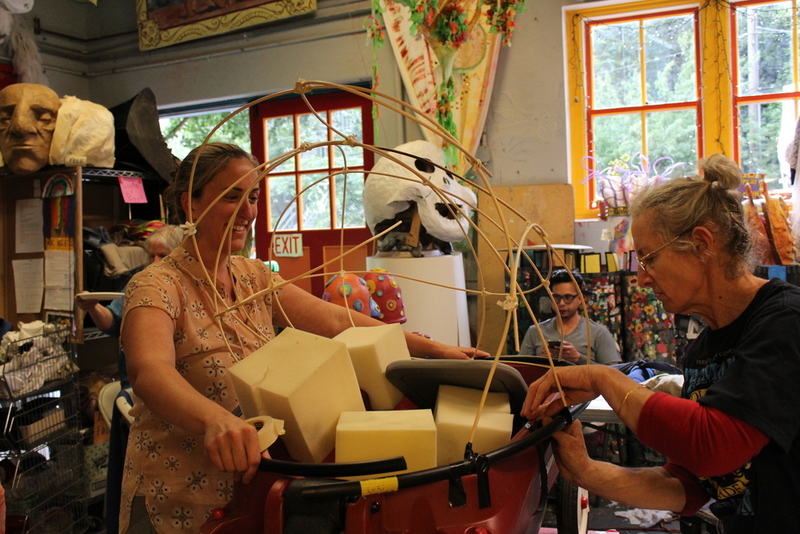 Mythica Village Mayors Crystal Cheairs and Felica Hollenbeck were inspired to help with the Sasquatch float this year after seeing its debut in the Fremont Solstice Parade last year. 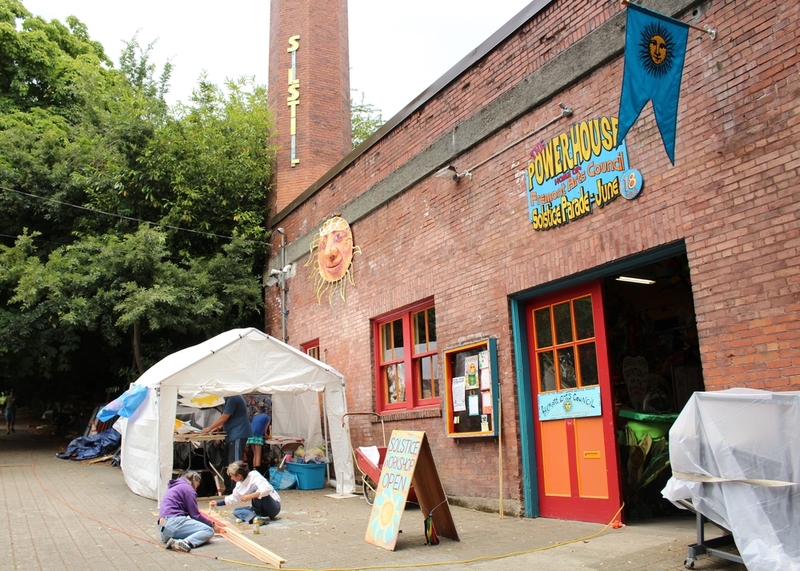 Chearis says that Mythica Village focuses on “bringing a magical experience to people in the dance community” and hopes to create that experience during the parade and the Cascadia NW festival. 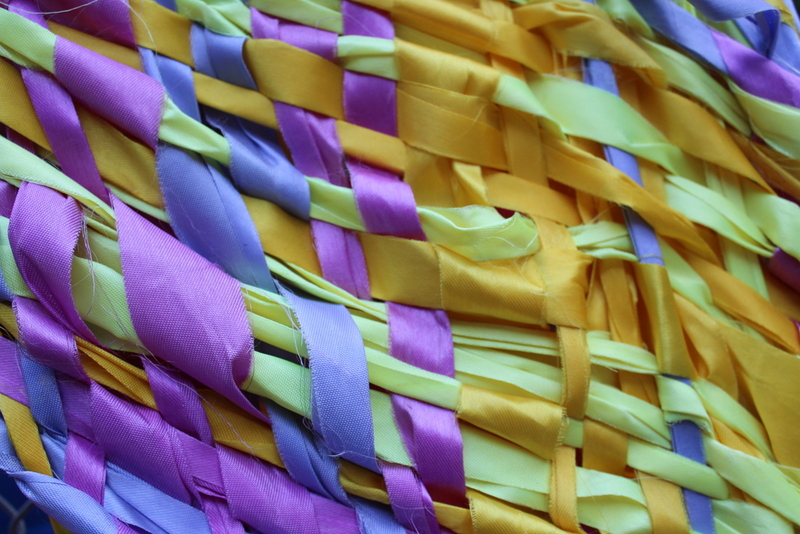 All are welcome to join our Fremont Solstice Parade Ensemble with the Sasquatch on June 18th! Get all the details here. 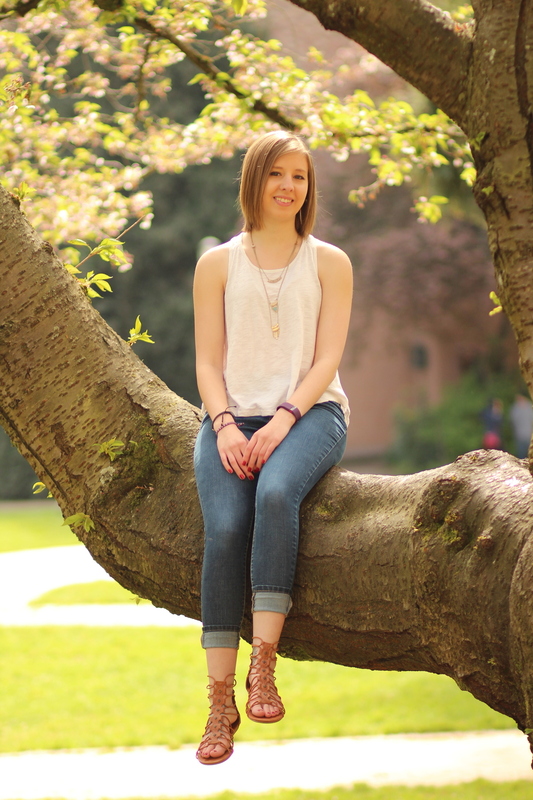 Taylor McAvoy is a Junior at the University of Washington pursuing a bachelors degree in Journalism. She has been a writer and photographer for the university’s newspaper The Daily for a year focusing on editorial reporting and arts event coverage.